Drop by our award winning Irish pub at the Jacksonville Landing or our newest location in St Johns County/Nocatee for an incredible night of great fun, food, and live entertainment. There is nothing quite like a genuine Irish pub experience. 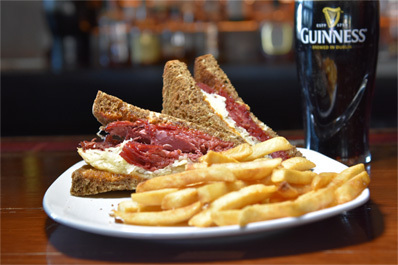 Fionn MacCool’s creates that experience right here on the First Coast with a warm welcome, friendly staff, great food, and of course the perfect pint of Guinness. Our food is made from scratch with fresh ingredients using local vendors whenever possible. 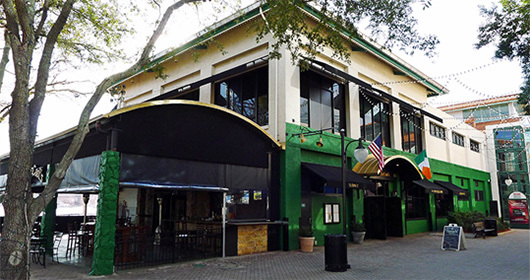 Fionn MacCool’s is locally owned and operated in both downtown at The Jacksonville Landing on the St. John’s River and in the Nocatee area directly off US1. Fionn mac Cumhaill or “Finn McCool” is known for being a great warrior in Irish myths. He was the greatest leader of the Fianna, an elite military clan responsible for the protection of the High King of Ireland. Fionn implemented a code of honor into the Fianna; which had a reputation for being somewhat unruly. Another legend includes Fionn as a giant, creating the Giant’s Causeway, a peculiar series of volcanic rock formations along the coast of Ireland. He did this to challenge a Scottish giant to a fight and allow passage from Scotland to Ireland.